Delicious magazine, you’ve got it right, is about food! The most exciting, tastiest and most unheard of recipes, combining various elements from different cuisines form the trademark of Delicious magazine. 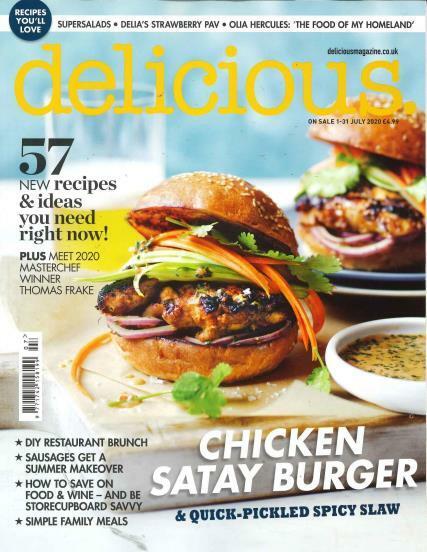 Buy a single copy or subscription to Delicious magazine. Not just recipes from the top chefs of the world but also home grown recipes that have only gotten better with time also form a part of Delicious. Did you miss a couple of episodes of Nigella Lawson’s cooking? Do not worry for Delicious magazine is on its way to provide you with all the recipes you’ve missed apart from interesting interviews with the lady herself! Everyone knows Nigella’s story and Delicious brings you many more such Nigellas from various parts of the UK. The pictures could make any gourmand happy. From the most luscious looking food to the best angles to bring out all the sensuousness of the food on display, Delicious uses many arts to bring happiness to its viewers. The photography is of a high quality, just as food photographs should be. Like they say, the pictures should make you want to eat them right away! From pies to tarts to French main courses and aperitifs, there is something to make everyone happy. It's packed full of really wicked recipes. Excellent magazine, with good content and design & layout. great picturesand recipes always makes me hungry when i read the mag! i love delicous magazine , so tasty makes my mouth water , inspiring and good value .